i am lucky enough to have an incredibly talented friend named Kiki (yes, that's her name and i love it) who comes up with the best designs and DIY's. this amazing woman has just created the cutest, funnest, and all-round inspiring lifestyle website called Kiki & Company. formerly known as Kiki Creates, she has taken her blog to new heights by infusing aspects of crafts, cooking, beauty and health to the site. just launching this week it has been a huge success, and will continue to grow. if you'd like to find out more, you can also find her on Facebook where she shares great ideas from her blog, as well as other clever creatives. polka dots, especially itsy-bitsy teeny-weeny yellow polka dots, always make me think of sun. now that the sun has finally started shining again i thought it was time for a sunny mani. i have been obsessed with polka dotting lately because the technique is so simple! 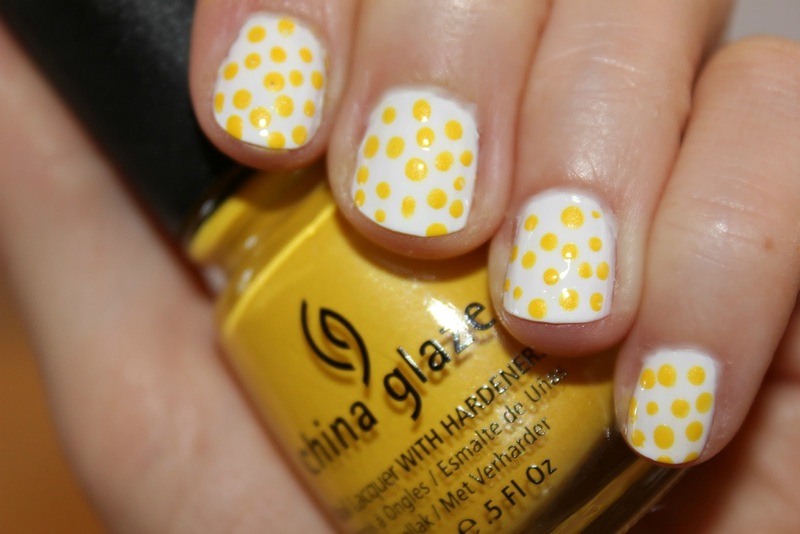 just place a small dot of polish on some paper, dip your toothpick in, and get polka dotting. 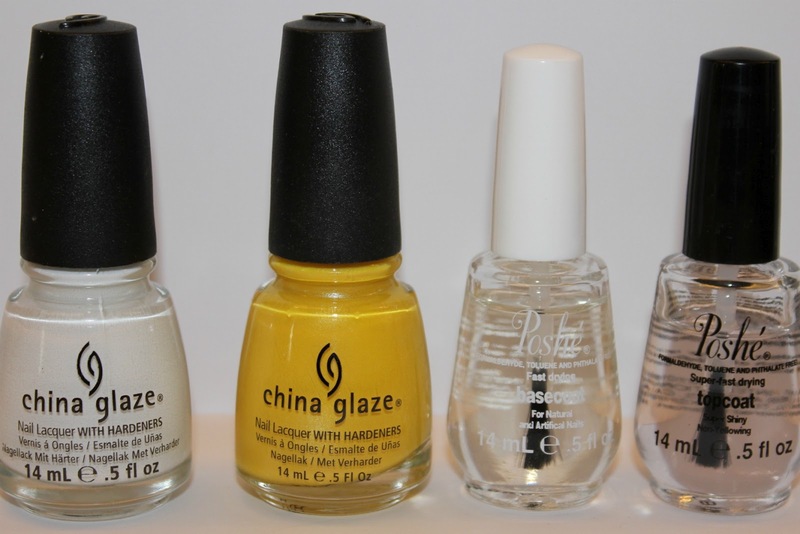 finishing with a top coat makes polish and polka dots smooth, so make sure you don't forget that step. This is so cute! The weather has been so shocking lately I think I need some bright colours in my life to cheer me up!